In this article, we are talking about natural hair, not transplanted hair, which begins to fall after a patient receives hair transplantation. 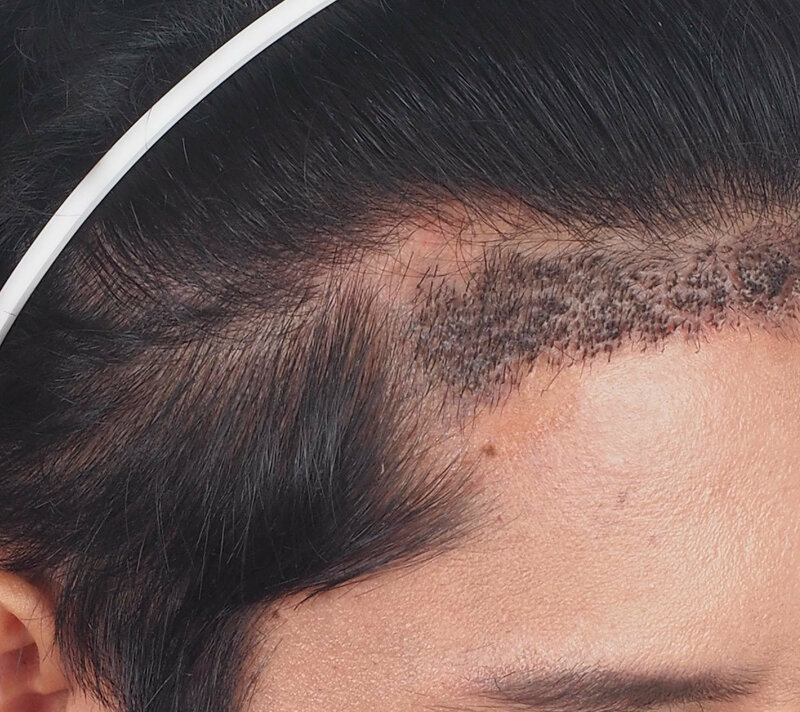 To put it simply; sometimes and in some cases, the process of hair transplantation can disturb and “scare off” the natural hair that eventually falls off afterward. It is like a situation where a piling construction is going on next door, and just too noisy and shaky that we have to temporarily evacuate to seek refuge. The shock loss is a temporary event that could happen in both recipient and donor Area. In the recipient area, it is taking about 3-5 months for the lost natural hair to grow back; and 6-12 months in the donor area. In some rare cases, where the lost hair is part of the gene of a family history of baldness and is within the final cycle; there is a possibility that the hair may not grow back, which is an inevitable event. Every doctor in transplantation business, regardless of medical experience and skills, have experienced shock loss. In our track record so far, the chance is a mere 5% to have such a complication. For the lucky few, just keep it calm and be patient. It might take some time, but the hair will eventually grow back.